We are engaged in the Fristads Kansas Group Corporate Social Responsibility program. 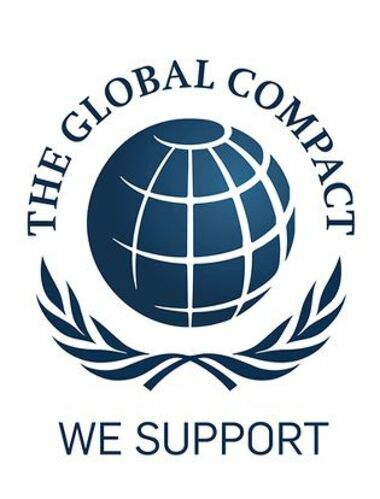 The United Nations Global Compact is the world’s largest corporate sustainability initiative. As a participant of the United Nations Global Compact’s, we are committed to its guiding 10 principles for Corporate Responsibility on Human Rights, Labour, Environment and Anti-Corruption. We take respect for human rights, and compliance with international and local labour laws, very seriously. To ensure that we uphold high standards, within our Code of Conduct, labour standards are based on those of the International Labour Organisation (ILO) and the Universal Declaration of Human Rights, in relation to forced labour, child labour, freedom of association, compensation, working hours, occupational health and safety, and a legally binding employment relationship.This is not just lip service – Leijona Group Oy is part of the Fair Wear Foundation (FWF) Organisation. FWF conducts regular surveillance audits for all the plants where the Leijona Group Oy’s products are produced. For us it is important that our products are not only high quality but also safe to use, and do not contain any substances that are harmful to users or the environment.Each supplier of Leijona Group products or material must sign a document stating the company’s intent to comply with the REACH legislation. This legislation restricts the quality and quantity of chemicals used in textile and leather industry. The European Chemicals Agency, ECHA will update the list of chemicals of very high concern constantly. FWF – COLLABORATION Fair Wear Foundation (FWF) is an organisation founded by several stakeholders in the Netherlands, which supports and promotes good working environment within the textile industry. CHEMICALS IN PRODUCTS REACH Registration, Evaluation, Authorisation and Restriction of Chemicals. All our brands meet the European Commission’s REACH regulations concerning chemicals in products imported into EU territory. All suppliers must comply with the restrictions defined in our Restricted Substances List, RSL. The list is constantly updated to comply with the newest revisions according to the REACH directive ÖKO-TEX – All textiles and leather products and accessories meet the requirements of the specified Öko-Tex Standard 100.